Grade 2 and 3 students from Dr.W.A. MacLeod Consolidated recently had a visit from Angie VanKessel of West River Greenhouse. 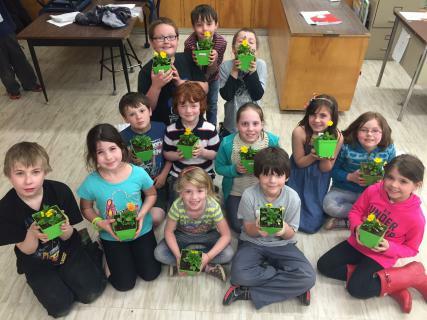 As a connection to their science curriculum, students learned about the different parts and needs of plants and discussed many different types of plants. The students enjoyed having the opportunity to plant their own flower while learning how to care for it!